Chinese New Year is fast approaching and scores of people are getting caught in the travel rush. In recent years, there have been a huge number of migrations from rural areas to big cities for either work or studies. During Chinese New Year, many of these people return to their hometowns. This means that transportation becomes tremendously busy. Even celebrities are not exempt. 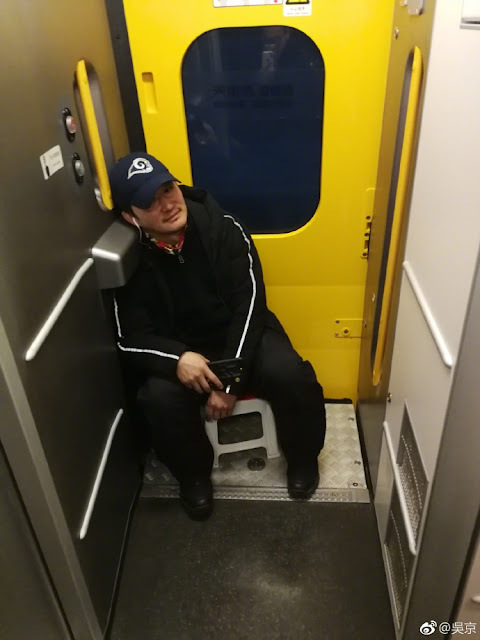 Jacky Wu was seen in a crowded train sitting in what seems to be a small plastic stool that he brought along. The actor drew flak from some netizens who asked whether it was even allowed. Train staff explain that it's perfectly okay to do so as long as people boarding or alighting the train are not affected. 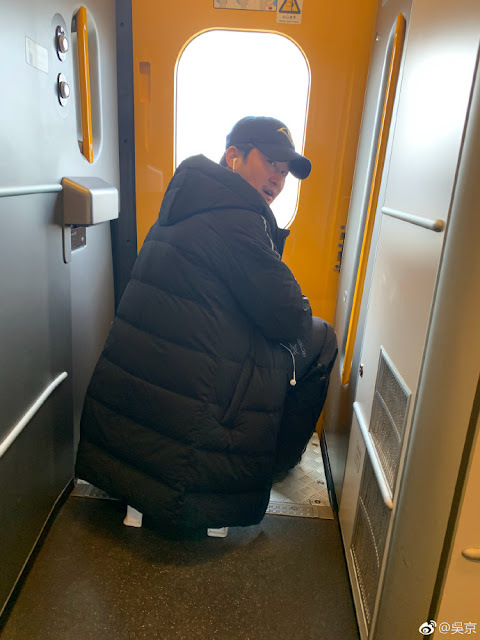 When it's Spring rush and as long as there is enough space, you'll see people sitting, lying or standing in those spaces like the smoking areas, toilet doors and aisles. Personally, it's smart of him to have the foresight to bring a seat with him. And it goes to show how crazy things get as the date draws near. Spring Festival is on February 5, 2019.